A quick post today. I made this card in twenty minutes this morning before going to IKEA. My friend wanted to come along but she has some work to finish first. So in that time, I decide to make a card for Ellen Hutson’s Pin Sights Challenge. Here is the Pin Sights Inspiration. I started with spattering my card base with navy Mr. Huey and left it to dry. To make my focal point, I sponged a scrap piece of white textured card stock with Fired Brick and Ripe Persimmon distress inks. Then sprayed with some Wplus9 shimmer. Once dry, I die cut all the elements using Wild Garden die set from Essentials by Ellen. Then clustered and glued the flowers and leaves on the card front. 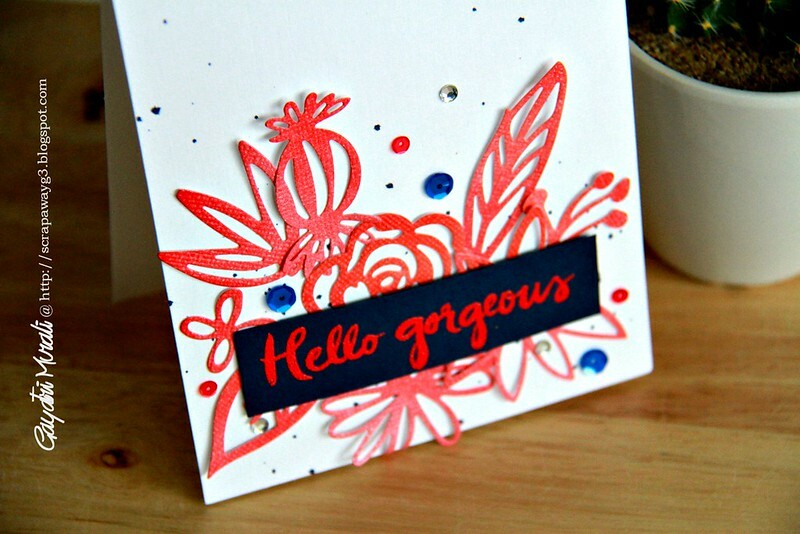 For sentiment, I red heat embossed the “Hello Gorgeous” from Hello Gorgeous stamp set from Essentials By Ellen on a navy cardstock. I adhered this using foam adhesives. Finally embellished with Pretty Pink Posh’s Cobalt and Raspberry sequins along with white rhinestones. 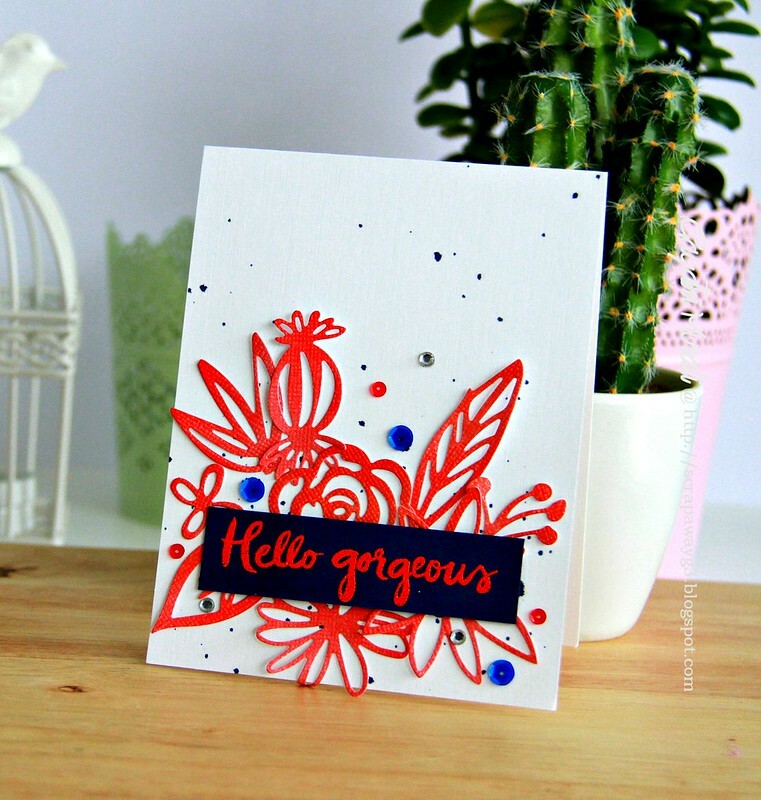 wonderful card Gayatri – amazing creativity in 20 minutes!